Thank you so much for all your hard work and effort. 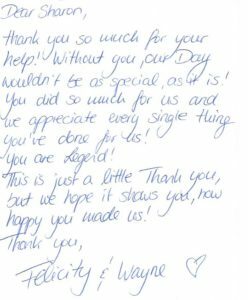 You helped make our day perfect. The setting up of the rotunda was beautiful, thank you. We had our wedding at Manly in April, and Sharon did the ceremony styling. Sharon was absolutely fabulous. I felt very comfortable with Sharon doing the styling, and had full trust in her. She did a wonderful job. I found her to be very patient with me, quick in her communication, and very thorough. In addition, she is a really lovely person, and her prices are competitive. I highly recommend Sharon for wedding styling! I came across eloquent weddings after going through what seemed like a tonne of wedding planners who weren’t on the same page as me or just were very aggressive in there planning, once I met Sharon it was like breath of fresh air. All my wedding stresses and worries she understood and made them disappear. My partner and I are so appreciative of the amount of time and effort that went into our wedding. We had planned for an outdoor wedding but it rained on the day and like a guardian angel Sharon managed to still make everything absolutely beautiful in our reception venue, I was so overwhelmed walking into my wedding every where I looked just made me cry even more happy tears of course. What Sharon and her team delivered on the day exceeded our expectations by far and we will forever be grateful for them making our day the most magical day in the world. Friendly, affordable, amazing, easy going, are only a few words that come to mind when describing the work ethic of Sharon definitely have her for all your events you won’t be disappointed. Thank you so much for everything from the newly-weds Mr and Mrs Fafejta. Just wanted to say a HUGE thank you for all the effort and time you put into my wedding you really did give me the wedding of my dreams!!! The attention to detail and the lolly buffet was spectacular. It meant the world to me and every guest commented on how beautiful it was. I couldn’t have asked for anything better! Want to thank both Sharon and Alec for making our day so very special! Your decorations were stunning and made our house look spectacular. The chandelier, the arbor, the chairs with bows…all fantastic! Nothing was a trouble, and it was just an absolute pleasure to work with both of you! THANK YOU!! Can highly recommend Sharon to style any special event, knowing you will get good service, great ideas and good quality decorations, Kathy Pane. A huge thank you to Sharon and Eloquent Weddings for their professional and reliable service on our wedding day. The single arbour with hanging chandelier was beautifully set up and complimented the ceremony area perfectly. I will definitely recommend Sharon and Eloquent Weddings to any friends or family getting married! Thank you, Tayte Armstrong. Words cannot really do justice for the gratitude that Brendan and I have for Sharon. Winning the decor package was the best thing that happened for us during our wedding planning. It has been a huge saving and stress relief for us! Sharon went above and beyond with everything. We felt so comfortable talking with Sharon and she understood exactly what we were after with the look of our wedding. People often roll their eyes when the bride gets excited about her wedding and talks and talks, but Sharon got just as excited about our wedding as me. She has provided the best advice and was more than happy to come along to any supplier meetings. Sharon was there for us on the day, providing us with wedding day co-ordination and it was a great comfort to know she was there if we needed anything. When things were looking a bit pear shaped and the stress started overwhelming me, Sharon was there to reassure me that everything was going to be ok and she would take care of it. When I walked down the aisle and into the reception on the day, everything was how it was supposed to be and I know this was because of Sharon’s dedication and hard work. When I look and think back on everything now, how perfect everything was and how smooth the day went, I thank Sharon in my head because I know that without her, my wedding would not have turned out to be the most beautiful, amazing day of my life. Sharon is highly reliable and organised, and nothing is too much trouble! 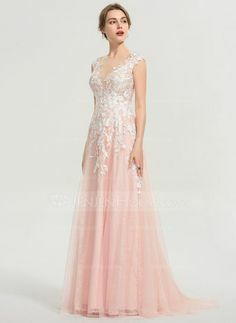 She knows where to find anything you could possibly want for your wedding, and takes all the stress out of sourcing it. She takes time to listen and understand your theme for your event, and is full of ideas! I can’t recommend Sharon highly enough – an amazing lady who will go above and beyond to make your big day perfect! Thank you so much for everything you did a fantastic job with our wedding decorations, the room looked amazing and the lolly buffet was a hit! Thank you so much for everything you did to make Holly’s 18th Birthday so very special. It was lovely to work with you and I feel very lucky to have found such a professional, capable and reliable business owner, not to mention, a lovely person. Your attention to detail was something I truly appreciate and it all came together to make Holly’s birthday celebration perfect and extra special. It was lovely working with you and I look forward to recommending you to others and working with you again. Thank you Sharon Shabanz for all the hard work and care you put into Kerrie and Caleb’s Wedding. We all had a wonderful time and the decor and set up was excellent. Your care for detail took a lot of the stress from us on the day. To all my beautiful friends getting married or having engagement parties, we would recommend using Eloquent Weddings and Events who decorated our party. Sharon did an absolutely lovely job and made the venue perfect for us! Great communication, efficient and very helpful with ideas. Pleasure to deal with, and large variety of stock. Highly recommend. Thank you Sharon. From the moment I spoke to Sharon from Eloquent Weddings, she had a professional, friendly and ‘can-do’ attitude. Sharon was constantly helping us and doing anything she could to attend to our individual wants and needs. I would recommend anyone I know to come to Eloquent Weddings because the service is professional, the rental products are lovely and clean and well presented. Thank you Sharon for all your hard work for our wedding! We would like to thank Sharon from Eloquent Weddings for making our day so special, beautiful and perfect! Sharon’s ideas and additions made the park and reception look so much more beautiful, than we could have imagined. We would recommend Eloquent Weddings to any upcoming brides, as they take a load of stress off you and we promise, you will be blown away as we were when we entered the reception. All our guests commented on how beautiful the reception looked. Once again, thank you so much for making our day special! I recently performed a wedding at Underwood Park at Priestdale and I was very impressed to see Sharon from Eloquent Weddings & Events, not only did a lovely job of Alan & Susan Cliff ‘s wedding but she also provided a bucket of beautiful white umbrella’s which everyone used. Love your work Sharon Shabanz. Sharon, thank you again for all your help. We had an amazing day and the ceremony looked beautiful. Thank you Sharon for taking the stress out of planning our wedding! I had started researching venues and obtaining quotes but quickly realised that there were countless options to consider and became very overwhelmed. A friend referred me to Eloquent Weddings and I couldn’t be more grateful. I simply gave Sharon the concept of what I wanted and she sorted out all of quotes and provided them back to me in a great comparative table. It has saved me so much money and I have the perfect venue. As if that wasn’t enough, she has continued to go above and beyond my expectations and has sent me so many other ideas and specials on related costs for the wedding that are going to save me even more money. I don’t know what I would have done without you Sharon! Thank you! Craig and I wanted to thank you for the beautiful wedding ceremony setup you did for us last Saturday. It was everything we could want, and from the photos I have seen so far, it definitely made a beautiful spot even more gorgeous. We are more than happy for you to use any photos or this thank you in any of your advertising material or website. Brayden and I would like to say thank you so much for all your help with our wedding ceremony and all your help leading up to our wedding day. The ceremony setup was absolutely perfect. I must say how nice it was to have someone that was very helpful and who was happy to answer our questions any time. Your suggestions were very helpful and your standard of service was exceptional. I would be happy to recommend your services. 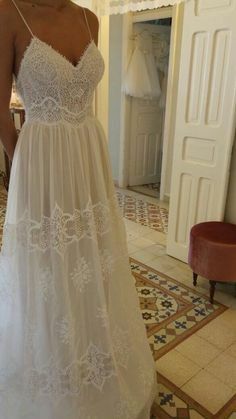 When we started planning our wedding, I began finding it difficult to have an elegant and unique wedding because I was overwhelmed with the amount of details and work necessary to carry it out, but using Sharon’s services was the best decision we ever made! 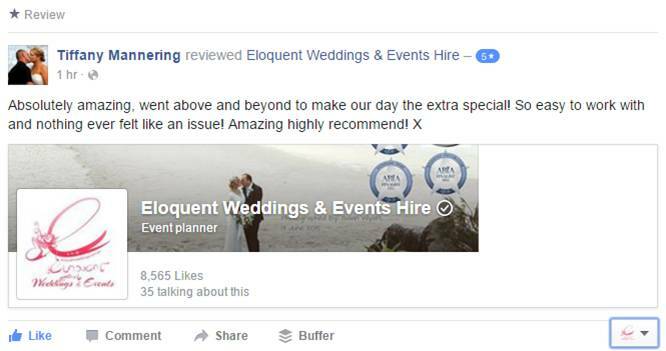 Sharon, from Eloquent Weddings took the time to understand what kind of wedding we wanted and helped us achieve the most perfect wedding day. Sharon helped us with all aspects of the wedding from designing the invitations, researching and attending supplier meetings and helping us keep within our budget. We always felt so comfortable speaking to her because she portrayed empathy, love, and just so much care for weddings and for us the bride and groom. Sharon is a creative, elegant, and a unique woman who listened to our ideas and always gave us excellent advice. Sharon always took care of each detail with class and professionalism. Sharon made stressful situations and apprehensive moments lighter and she always knew how to make me calm and ultimately focus on the bright side of things. Our wedding day was absolutely perfect and everything ran smoothly all because of Sharon’s dedication and care. We have no hesitation recommending Sharon to our friends and family who want to have a stress-free wedding or party. I was a guest at this 70th Birthday & 50th Wedding Anniversary Party. Sharon Shabanz, Eloquent Weddings & Events turned this very special celebration into a day of magical colour and amazing memories. Sharon’s attention to every detail was outstanding from the glamorous table settings to the glistening hanging crystals. Planning these special occasions can often be rather stressful why not let a professional take care of things so you can relax and enjoy the day. I would highly recommend Eloquent Weddings & Events and know who I will be trusting to organise all my future special occasions for my family and business events. My husband & I wanted to thank you for creating a wonderful atmosphere for our special celebration. The attention to detail, colour and elegant theming had our guests talking! If you have a special occasion or event coming up I would highly recommend using Eloquent Weddings & Events!